"Moments, Op. 7" is pianist/composer Tim Neumark's eighth album and his second album this year. Twelve of the thirteen tracks are solo piano, but the lucky thirteenth is a fully orchestrated arrangement of Neumark's first composition, "Beginnings." It was included as a piano solo on his debut album, "Biography," but Neumark always envisioned the piece as an orchestral work. With Doug Hammer's help, that dream has become a reality for the whole world to hear! The music on Moments was inspired by those unplanned moments in life that mean so much and truly define what life is all about. Most of the music on this album is on the lighter, happier side, strongly influenced by life with two very young daughters and a couple of playful cats. The liner notes explain where these moments came from. Some are personal experiences and some are other people's moments that affected Neumark enough to compose music for them. Although classical music has a strong influence, Neumark's music isn't overly flashy, but is confident, lyrical and heartfelt. "Moments, Op. 7" begins with "Beauty," a piece written for Neumark's wife and daughters and the joy they bring to his life. Lighthearted yet tender and affectionate, it sets a lovely tone for the album. The delightful "Little Renee" was inspired by Neumark's two-year-old daughter dancing while he was playing the piano. Composed in 10/8 time, Renee obviously dances to a different rhythm! "Waiting For Ella" was composed about the birth of Neumark's second daughter, who arrived almost a week past her due date. Neumark wrote most of this song before they headed to the hospital on the day of her birth. Introspective and very loving, what a beautiful welcome to the world for a tiny little girl! "Eight-Paw Waltz" is about the moment when an excited pet (or two) dances around you as you return home. Light and playful, this piece is almost as much fun as the moments that inspired it. "11 Seconds" was inspired by the amazing spirit of Travis Roy, a collegiate hockey player who was seriously injured only eleven seconds into his playing career. It isn't as joyful as the other pieces, but celebrates this young man's strength and optimism. "What If" is a song about memories that didn't happen. Poignant and reflective, it's a favorite! "The Orange Bridge" recalls a moment when the young Neumark received a toy from his grandfather near an orange bridge that he still sees often, a reminder of that special moment. This gently flowing piece is another favorite. 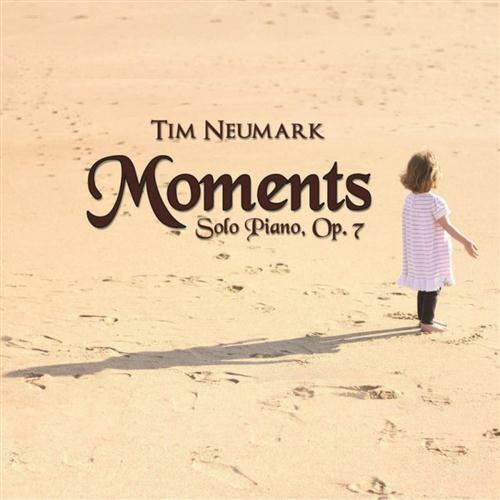 Tim Neumark - Moments (Solo Piano, Op. 7) (2015) download links are externally hosted on Extabit, Rapidshare, Rapidgator, Netload, Uploaded and Tim Neumark - Moments (Solo Piano, Op. 7) (2015) also available directly on Torrent Sources.